سواءً كنت مسافراً بغرض السياحة أو العمل, The Henry Jones Art Hotel هو خيار عظيم للإقامة خلال زيارتك هوبارت. يقع مركز المدينة المثير على بعد 1.7 Km فقط. سوف يعشق النزلاء موقع هذا الفندق، فهو قريب من أهم المعالم السياحية في المدينة كمثل هنتر, Henry Jones Design Gallery, Art Mob . ببساطة كل الخدمات وأساليب الضيافة التي تشتهر بها Federal Group تجعلك تشعر وكأنك في بيتك. لضمان راحة ضيوفه، يقدم الفندق الخدمات التالية: واي فاي مجاني في جميع الغرف, مجهز لذوي الإحتياجات الخاصة, مكتب الاستقبال على مدار الساعة, مرافق مخصصة لذوي الاحتياجات الخاصة, تسجيل وصول/خروج سريع . في الفندق غرف نوم يتجاوز عددها 56، كلها مجهزة بعناية وجمال وبعضها مزود بـ تلفزيون بشاشة مسطحة, اتصال لاسلكي بالإنترنت, اتصال لاسلكي بشبكة الإنترنت (مجاني), حوض الاسترخاء, غرف لغير المدخنين. يقدم الفندق مجموعة رائعة من الخدمات كمثل مركز للياقة البدنية, حديقة، لجعل إقامتك تجربة لا تنسى. 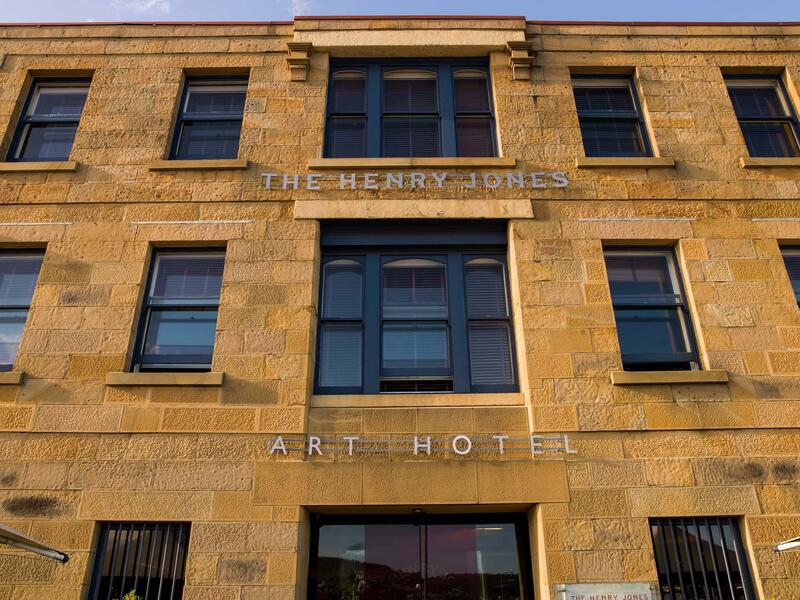 مهما كانت أسبابك لزيارة هوبارت، فإن The Henry Jones Art Hotel هو الخيار الأفضل لإقامة مثيرة وممتعة. We loved our stay at the Henry Jones Hotel. It offers choices of restaurants and sitting areas. The art tour of the building with the history of the old jam factory was very interesting. We would gladly stay there again. Lovely hotel with the best bed and bedding ever. The staff were wonderful and I felt well cared for. Generosity was everywhere evident: space, wifi, toiletries beverages. I wish I could have stayed longer. I absolutely loved my stay at Henry Jones. Staff were super helpful from check in to recommending and booking restaurants . The room was perfect and I really enjoyed walking around and seeing all of the artwork. The HJ hotel was also in a great area. I could easily walk around he harbour and to the restaurants and bars in Salamanca market. The Hotel is on the waterfront, it is housed in one of the most historic buildings in the city and has a stunning art collection. I did the daily tour and learned so much about the art and the history, would highly recommend even though it is on the pricey side, Loft rooms were stunning and very comfortable. Our stay was lovely and the staff were always wonderful to deal with. They were warm and helpful and never made you feel like an inconvenience. Only disappointment is the breakfast. It is rather overpriced and quite average - especially given all of the other aspects of the hotel. This is a quite stunning renovation of an old jam factory building - just enough of the old has been retained to afford a unique and attractive style and all the modern comforts have been included in a very clever use of the space. Every room is an art gallery and there is a good choice of locations for breakfast, including a cafe in the iconic atrium. the staff are super efficient and every detail of requests made were carried through - to the point of having the car outside and ready with bags packed upon our return from MONA to enable a quick departure to catch our flight from Hobart airport. I was only sorry only to have one night there, have no hesitation in recommending and will certainly return when we are back in Hobart. It was my 50th Birthday and my wife and I decided to celebrate it at the Henry Jones in Hobart. Dinner at the Landscape Resteraunt was devine and our stay was just first class. The hotel is not pretentious and very welcoming. Our stay was memorable. Love the preservation of this hotel's history, it is all beautifully done. The room was clean and adequate for our needs. We had a great view of the docks and really like the history/art tour offered to guests. Would make just one suggestion and that would be that Reception staff advise guests, on arrival, if bookings are required for any of the hotel's restaurants, particularly when the hotel is hosting an awards night. Would have been nice to know when we arrived that morning so we could have made a booking and avoided the disappointment. 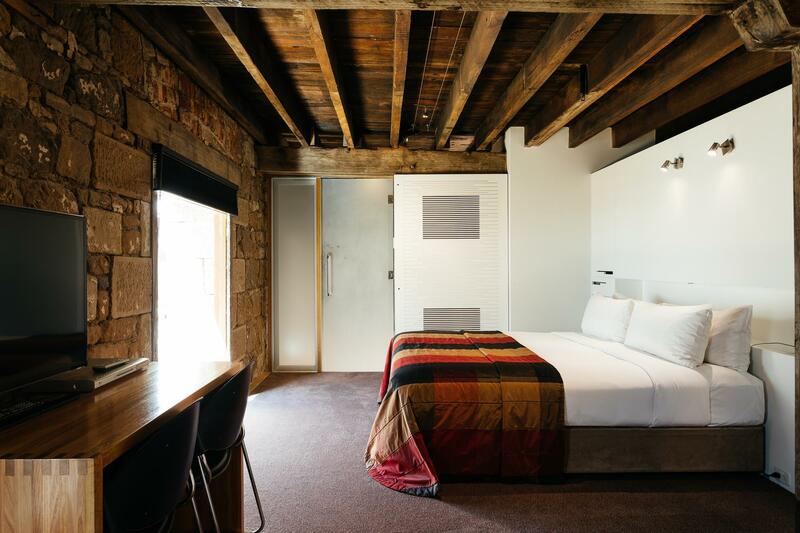 I decided to come to Hobart a day early on a work trip and had always wanted to stay st the Henry jones ArtHotel... and boy am I glad I did!! 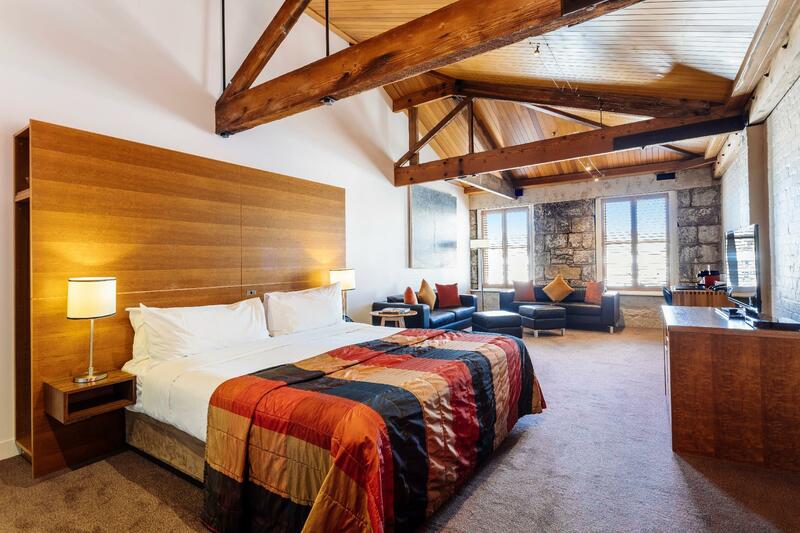 I stayed in a harbour view spa room and it was worth every cent... the room was a fine balance of old and new-loved the exposed beams and sandstone throughout the whole hotel. The hotel staff were great and super accomodating. They were able to squeeze me into the landscape restaurant downstairs and it too was amazing!! Have left the hotel feeling totally pampered and relaxed in such luxe accomodation! This was a great choice for me as I was travelling alone with my 3yo daughter. The staff were so helpful and I never felt stressed. The rooms are a great size, with a bed, sofa and room for play and we could watch the boats out the window. There is valet parking, which was very efficient and easy. 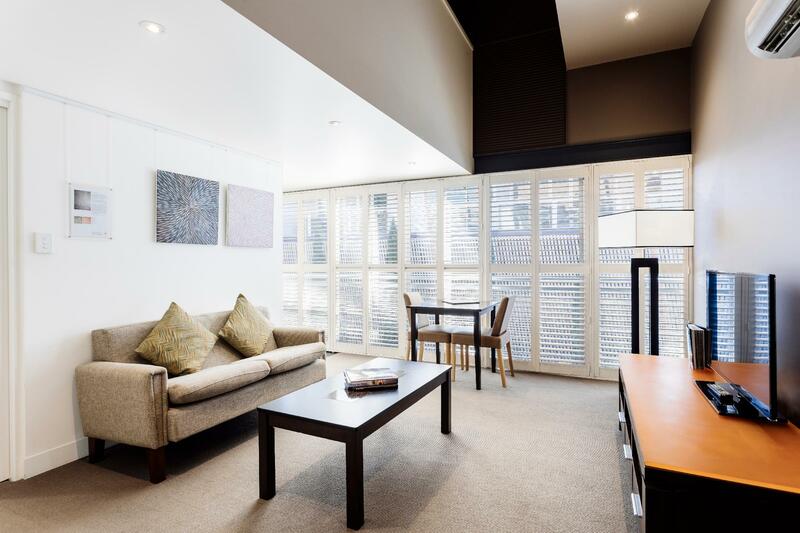 The hotel is located in a quiet part of Hobart, right on the water - but is only a few minutes walk from cafes, restaurants, the ferry to Mona, Salamanca markets and shopping - it was perfect. The dinning options in the hotel were not always suited to a toddler, but we found it very easy and fun to wander around the piers and find great fish and chips. We had a fantastic stay and would recommend to families staying with children. Stayed in a loft room which was warm and cosy for a winter's break. There was occasional noise from the carpark opposite but fortunately not at night. Good amenities and staff very helpful. 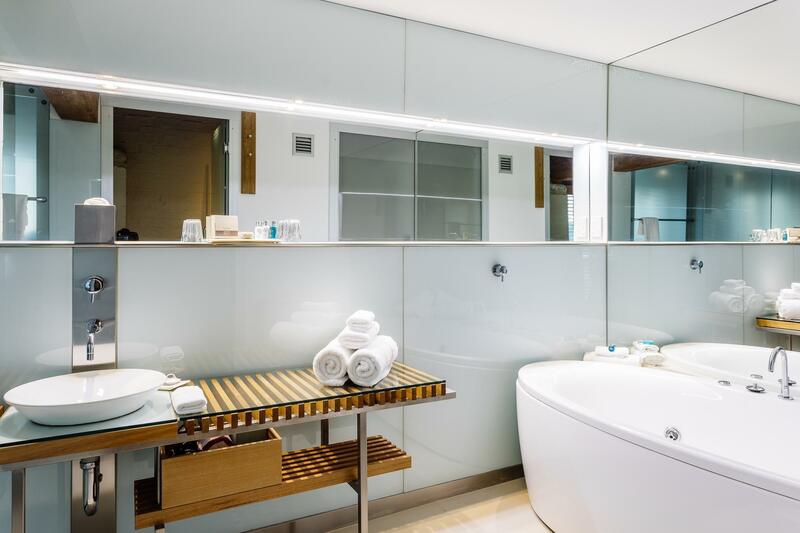 The location is probably the best thing about the hotel - choice of dining venues, right on the dock and easy walk to Salamanca, ferry terminals and the CBD. Would suit couples and solo travellers more than families due to design of rooms. Second stay at the HJ. We love it. Makes it hard to stay anywhere else. The staff are genuinely helpful which makes such a great difference and the building is beautiful and in just the most wonderful location. Went for Dark Mofo festival and MONA never stayed at Henry Jones before but I have been to Tasmania and Hobart many times in the last 15 years. I didn't set my sights too high but I was very pleasantly surprised. Great hotel one of the best in Australia! I'll be back for sure. We stayed 3 nights to celebrate our anniversary - the staff couldn't have been more helpful and polite and the complimentary bubbles delivered to our room was absolutely the icing on the cake. We are in their restaurant which was a fabulous experience and enjoyed the live music in the IXL Long Bar. Complimentary wifi and parking topped off our incredible stay - we wi be back! I have stayed at this hotel twice before and it didn't disappoint onthis trip. The staff are very good and provide a very personal experience. The food is excellent even if your not staying there go to restaurant for a great experience. The location is so convenient you cant do any better. The rooms are very comfortable and different to a recently built hotel. In all its a great package and you should experience it for yourself. The bar is a great place to start your evening and they will be able to provide you with any drink you can imagine. You will be close to may activities Hobart can offer. If you want a unique experience this is the hotel for you. We stayed for two nights in November 2014. The staff were very helpful, especially recommending places to eat. The loft room was beautiful and the restaurant has great food. Wandering around the hotel, it's great to see all the local art. A real find. We enjoyed our 3 night stay very much. 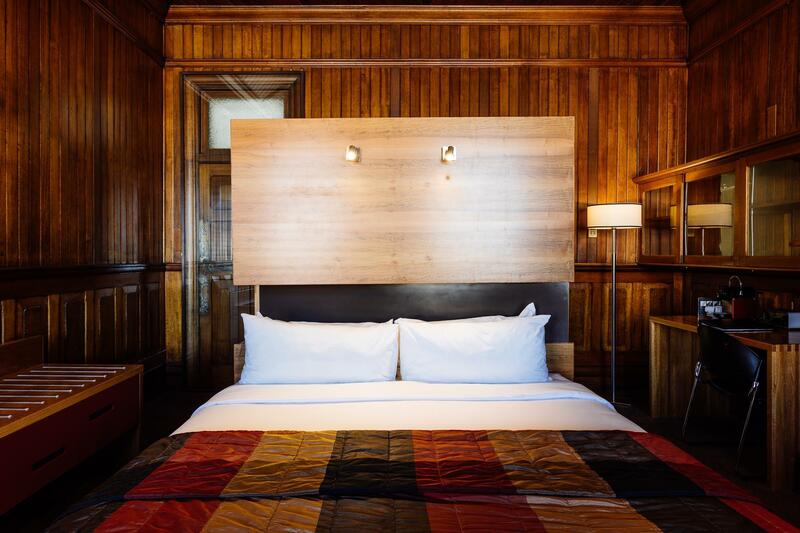 The hotel is stylish and comfortable, full of interesting historical references as well as modern art to contemplate. The staff were extremely helpful and friendly. The waterfront location is perfect as we could imbibe the maritime atmosphere and easily walk to many interesting places.